That exchange occurred on a Saturday, and the following Monday Dr. Rob got the ball rolling by applying to school. 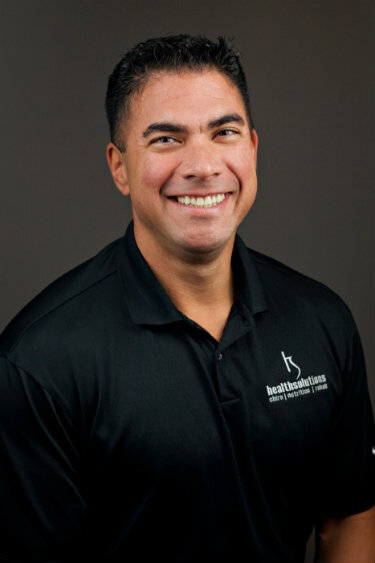 He earned his undergraduate degree from the University of Colorado at Colorado Springs, and then obtained his Doctor of Chiropractic from Palmer College of Chiropractic. Though he didn’t have his license in hand yet, Dr. Rob was undeterred. He called the Professional Board of Regulations in Springfield to inquire about when he’d receive it. They told him he’d have it that day and he was legal to go. About two hours later Dr. Rob got a call from the WWE asking if he could go down to the civic center that night to work on the guys. “The first person who met me in the hallway to get adjusted was Hulk Hogan.” Dr. Rob still has that picture with Hogan and his signature hanging in his office as a reminder of that day. Dr. Rob is passionate about helping kids because of their enormous potential. He adjusts athletes of all ages from grade schoolers to college students. Dr. Rob understands the importance of reaching out to the ages of 7-14, more of the developmental stages. Working with kids at this age group Dr. Rob has seen the biggest impact, the kids can recover faster, then stabilize before advancing into their athletic journey. Dr. Rob has worked on Olympic athletes, professional athletes to collegiate and the weekend warrior. Dr. Rob is the official chiropractor for the Eureka College Red Devils. He also cares for pregnant women in every trimester. Dr. Rob states that chiropractic has shown in his treatments to have a positive influence on the birthing process. He has also helped those with infertility issues become pregnant through adjusting or going further into functional testing that he does in the clinic. He’s proficient in the Webster Technique and provides gentle chiropractic care for newborns , especially those who experience trauma due to the birth process. As a former competitive powerlifter, strongman and bodybuilder Dr. Rob has traveled the country competing in the sports he loves. Dr. Rob challenged himself by doing a Strongman competition, four bodybuilding shows and two powerlifting events in three months. Dr. Rob finished first in his strongman, powerlifting competitions while getting a 5th place in Chicago in bodybuilding and in his other three shows he finished strong with first places in his divisions and best poser awards in the final two shows. He was told that a bodybuilder could not be a powerlifter and vice versa aswell as being a strongman, so Dr. Rob did all three in three months. Dr. Rob’s commitment to his love of sports spills over to benefit others. He is now a coach and is the promoter/ hosts with his wife for the Mr. and Mrs. Illinois bodybuilding competition and Muscle on Main strongman competitions. Dr. Rob and his wife also founded a company called ProBody Supplements. Dr. Rob, in collaboration with the labs, designs his own protein powder, supplements and vitamins for all age groups. In addition to working with the Morton fire department and police department, Dr. Rob enjoys traveling to other towns in the region to give talks to different high school football teams about nutrition and the importance of taking care of your spine and preventing injuries. See why Dr. Rob has patients who travel from as far away as LA to see him for care. Book an appointment today!